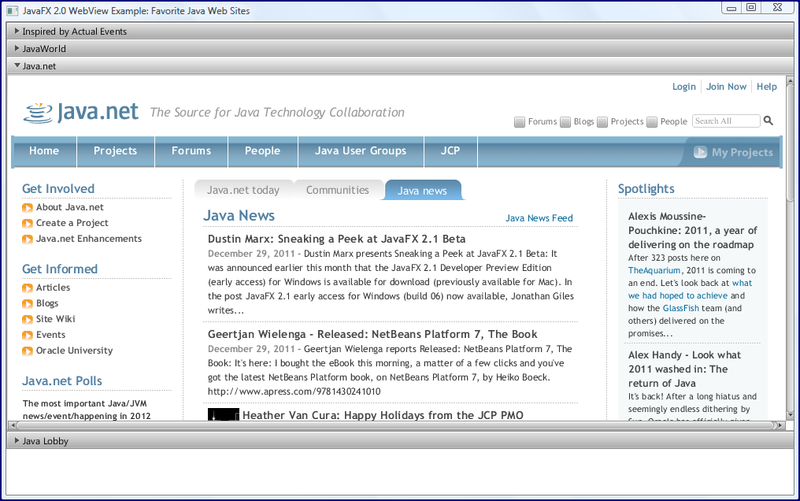 JavaFX 2.0 allows for inclusion of HTML code within a JavaFX application using JavaFX 2.0's WebView and WebEngine classes from the javafx.scene.web package. This post looks at a very simple example of how this can be done. 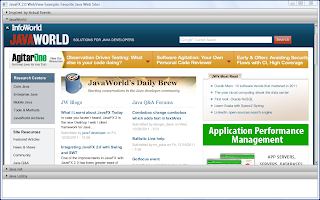 Much more sophisticated applications could enjoy more interaction between the included HTML content and the JavaFX application itself. 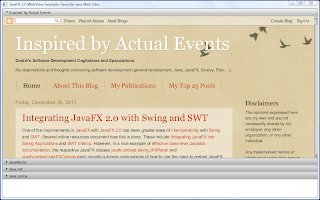 My simple example makes use of a JavaFX 2.0 Accordion control to present multiple Java-related sites that I frequently browse headlines ob for articles and posts to read. Each titled pane in the accordion features a different one of these web sites. The next code listing contains the entire Java class for this application and comes in at fewer than 100 lines of code including comments and white space. 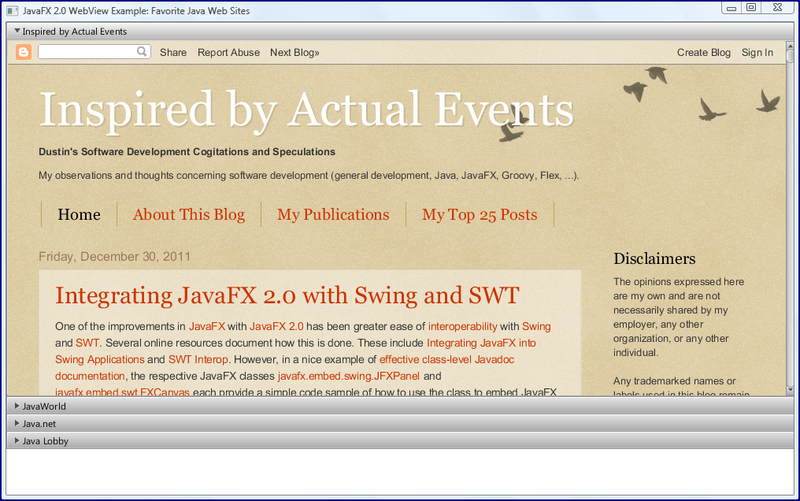 * Simple example of using JavaFX 2.0's WebView class. * URL in the 'value' portion of the map. *    titled pane titles and source of content respectively. * @return Accordion control with web page-based titled panes. 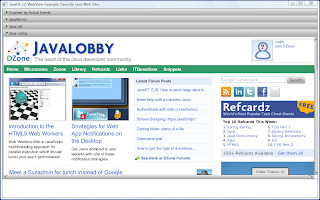 * Build a simple WebView based on the provided URL. * @param url URL from which content will be rendered in the provided WebView. * @return WebView whose content is based on web page at provided URL. 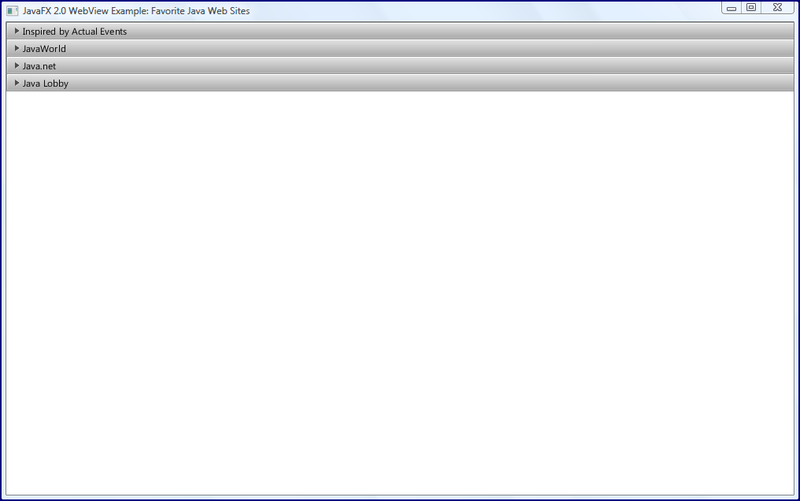 * JavaFX 2.0's Application.start(Stage) method. 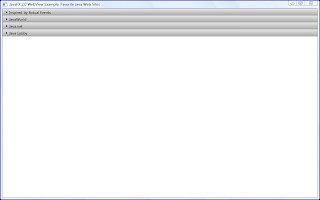 * Main function for running this JavaFX example. 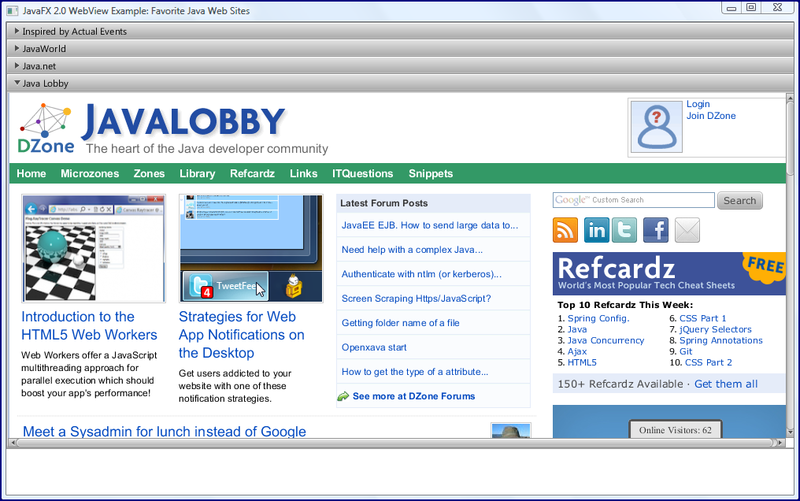 In many ways, the above application works something like a stripped-down web browser. 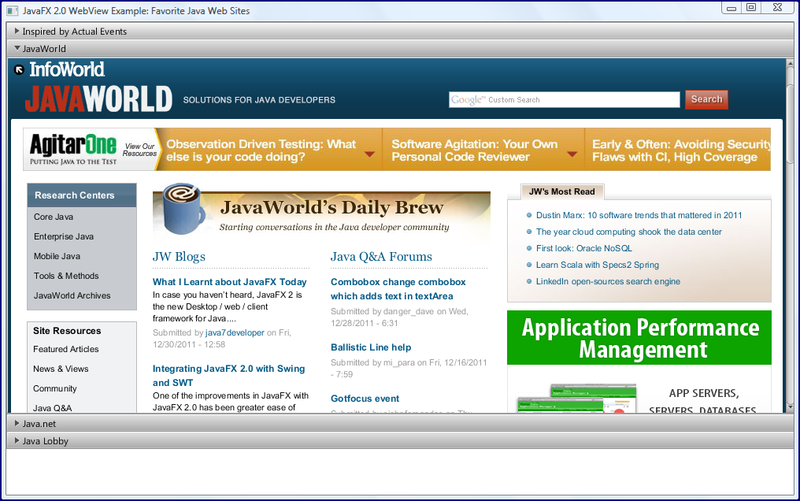 JavaFX does a lot of heavy lifting in processing the HTML source and presenting it just as a web browser would via WebView and an associated WebEngine. Some screen snapshots are shown next of how this application appears when it is run. The first image shows the application when it's initially loaded and the four screen snapshots following that one represent each of the four titled panes being clicked in the accordion.